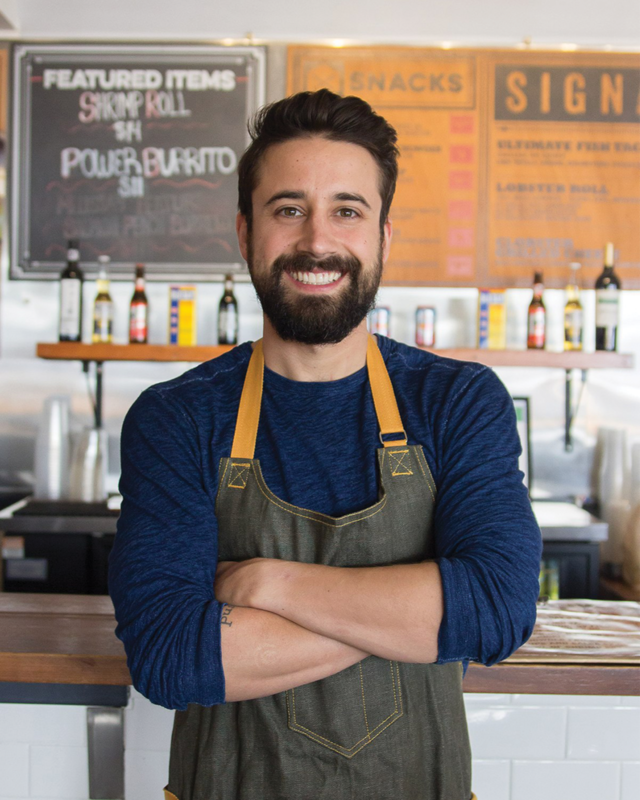 Andrew Gruel, a graduate of Johnson & Wales University, is currently the CEO and Founder of Slapfish Restaurant Group, the award-winning food truck turned international brick and mortar, based out of Huntington Beach, CA as well as Raw Bar by Slapfish. He is also Co-Owner of Butterleaf Restaurant and Two Birds Chicken, two concepts in Irvine, CA. Andrew has appeared on multiple television series including his most recent role as a judge on Food Network’s “Chopped Junior.” He was recently the Host of FYI Series “Say It To My Face”, as well as a judge on Food Network’s “Food Truck Face Off.” He has made appearances on the TODAY show, PBS, Cooking Channel, and has been featured in numerous publications including The Wall Street Journal, Forbes, Men’s Health, Food & Wine magazine, USA Today, Entrepreneur and Nation’s Restaurant News. In 2016 and 2017, he weas named Top 25 Business Executives for Fast Casual magazine as well as featured in Nation’s Restaurant News’ 2017 Power List. In 2013 he was named top 40 under 40 entrepreneurs in Orange County. He is currently the Co-Host of The SoCal Restaurant Show on AM 830. In 2009, After 10 years working in fine dining and upscale hotels, Gruel’s love of the ocean drove him to direct a non-profit project at The Aquarium of the Pacific in Long Beach, CA called “Seafood for the Future”. In this role, he worked with hundreds of chefs, fisherman and like-minded organizations establishing a national culinary awareness for the sustainable seafood movement. This was the foundation of Slapfish, which currently has 13 locations open and over 150 in development both domestically and internationally. In 2017 he opened two new concepts: Butterleaf and Two Birds, in TRADE Food Hall, and opened his fourth concept, Raw Bar by Slalpfish in January 2018 in Huntington Beach.